Want your campus event promoted on NSU Snapchat? 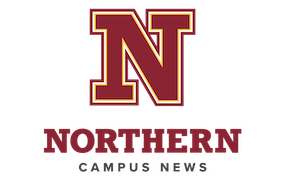 Email your event posters to communications@northern.edu, and it might be featured on Northern’s social media! The event is free and open to the public. For more information, contact the NSU library at 605-626-3018. Students: 2018 Undergraduate Competitive Research Grant proposals are due Monday, Oct. 29! Eligible undergraduate students are welcome to submit a proposal for a grant of up to $2,500 in support of an independent research project. Proposals for Calendar Year 2019 (Cycle 2) are due Monday, Oct. 29, 2018. Research Project Advisor approval is required for grant-funded research conducted during the summer. Instructions are available on myNSU. Learn more about NSU Undergraduate Research on the website. The NSU Wolf Shoppe is having a Pick a Pumpkin Sale on Oct. 30 and 31. Get 15, 20, 25 or 30 percent off! Chinese brush painting workshops will be held Tuesdays at 2 p.m. in the Student Center through Oct 30. The workshops are free to NSU students, faculty and staff. All levels are welcome. At noon on Wednesday, Oct. 31, the NSU Noon Forum will be "Tricks and Treats: What I Predict for Next Tuesday, and Why I’m Probably Wrong," presented by Drs. Steve Usitalo, Jon Schaff and Ken Blanchard. Noon Forums take place in the Williams Library Rotunda and are open to all who are interested – students, staff and the public. For more information, contact Dr. Art Marmorstein at 605-626-2608 or marmorsa@northern.edu. Stop by the Financial Aid and Registrar’s Office in Dacotah Hall 103 to view the entries in their pumpkin decorating contest, and drop your vote for best pumpkin into the cauldron! Voting continues through Oct. 31. Can can food drive, 7-8 p.m.; meet at the first level of the Student Center; counts as volunteer hours. Minute to Win It games; 8-9 p.m.; Student Center Centennial Rooms. All are welcome to these free events. The next Environmental Club meeting will be Thursday, Nov. 1, at 6:30 p.m. in MJ 201. Free pizza will be provided! Please email John.bortnem@wolves.northern.edu for any questions. The Environmental Club is hosting a no plastic movement, No Plastic November! Post a picture on Instagram of how you are contributing to the No Plastic movement. Link your photo with #NSUNoPlasticNovember, and tag @nsu_environmental_club. The picture with the most likes by Nov. 30 will win Environmental Club gear and a $25 gift card to the Wolf Shoppe! The contest runs Nov. 1-30. Sunday Masses are at 11 a.m. and 7 p.m.
Thursday Mass for All Saints Day (Nov. 1), a Holy Day of Obligation, is at 8 p.m., followed by Community Night and Saint Party! Organizers of Culturefest are seeking entertainment and community groups to participate in the event this fall on the Northern campus. Culturefest, a celebration of cultures from around the nation and the world, will be held 5:30-8 p.m. Thursday, Nov. 1, in the Barnett Center. Culturefest is free and open to the public. Read more here. For more information, contact the NSU Office of International Programs at 605-626-7802 or international@northern.edu. The Business Club/PBL will be hosting a traveling bake sale on Friday, Nov. 2, from 9 a.m. to 1 p.m.
NSU Professor of Art and Department Chair Sara Christensen Blair’s new exhibit “LEFTOVERS – PIECING IT TOGETHER” will be open through Nov. 30 in the JFAC art gallery. A reception for the artist and “LEFTOVERS” is planned for Nov. 3 from 6:30-8 p.m. Regular gallery hours are Monday through Friday, 9 a.m.-5 p.m. The Aberdeen University-Civic Symphony opens the 2018-19 season with “Festive Opening" at 7:30 p.m. Nov. 3 in the NSU Johnson Fine Arts Center’s Jewett Theater. Featured guest artist is Ms. Sonja Bundy, an extraordinary violinist who performs with orchestras throughout the Upper Midwest. Read more about the concert here. Tickets cost $18. Northern students are admitted free with their ID. Tickets may be purchased online or at the JFAC Box Office. Box office hours are Monday, Wednesday and Thursday, noon-4 p.m. The box office opens two hours prior to performances. For more information, contact Stanichar at C.Stanichar@northern.edu. Wolf Talks, which are free and open to the public, are held in conjunction with the NSU Common Read and are sponsored by TRIO Student Support Services. Representatives from Aberdeen’s higher education institutions are invited to a meeting about the Aberdeen Recreational Trails Plan 2-3 p.m. Wednesday, Nov. 7, in the Alumni Room at the Aberdeen Recreation and Cultural Center. Administrators, athletics staff, student-athletes and student leaders, among others, are encouraged to attend and share their thoughts regarding how trails should be developed throughout the community. Also, a community open house will be held 4:30-7:30 p.m. Thursday, Nov. 8, in the Eagle’s Nest at the ARCC. To learn more about the trails project, visit: www.aberdeentrailplan.com. The 2018-19 NSU-Primrose Arts and Lecture Series will take place throughout the academic school year at Aberdeen's Primrose Retirement Community, located at 1701 Third Avenue S.E. Nov. 13: "James King, Indian Scout"; presented by Dr. David Grettler, professor of history. Feb. 12: "Hub City History: Preserving and Presenting the Past in the NSU Archives"; presented by Mr. Robert Russell, director of Beulah Williams Library. March 12: "Ceramic Form and Fragment: Artwork of Gratia Brown"; presented by Ms. Gratia Brown, Assistant Professor of Art. April 9: "NSU: At Home in the World - An Overview of NSU's International Programs"; presented by Dr. Leigh Neys, director of International Programs. AAUW is hosting a Start Smart workshop led by Dr. Audrey Miller (certified Start Smart Facilitator). This workshop will give you the skills and confidence to successfully negotiate your salary and benefits. You will also learn how to quantify the market value of your education, skills and experience; how to conduct objective market research and determine a fair target salary; and how to create a strategic pitch and respond to salary offers. The event will be held Tuesday, Nov. 13, from noon-1 p.m. in the Library Round Room. To pre-register, please email Audrey.Miller@northern.edu. Angie Thomas, author of the No. 1 New York Times bestselling book “The Hate U Give,” will deliver NSU’s 2018 Common Read Lecture at 7:30 p.m. Wednesday, Nov. 14, in the Johnson Fine Arts Center. The event—Northern’s eighth annual Common Read Lecture—is free and open to the public. The award-winning “The Hate U Give” has received starred reviews from eight literary journals and has been optioned by Fox 2000 and Temple Hill Production. It is available for purchase at the NSU Wolf Shoppe. Click here to learn more. Interested volunteers can contact Lara Latt at laura.latt@aberdeen.sd.us or 605-626-3330. The one and only Moscow Ballet Great Russian Nutcracker will return to the Northern State University Harvey and Cynthia Jewett Theater on Monday, Nov. 26, at 7 p.m. Tickets are on sale now. Click here to read more. For ticket information, call Ticketmaster at 1-800-745-3000 or visit www.nutcracker.com. The Northern State University School of Fine Arts has announced that it will launch the first annual Friends of the Arts/NSU Young Artist Competition on Saturday, Jan. 5, 2019. The music performance competition will be open to juniors and seniors from high schools throughout South Dakota and surrounding states. Generous prizes will be offered for first, second and third place winners in four categories including piano, strings, voice and wind/percussion. Click here to read more information about the competition. Don’t forget: If you’re volunteering in the community or elsewhere, click here to submit your volunteer hours!